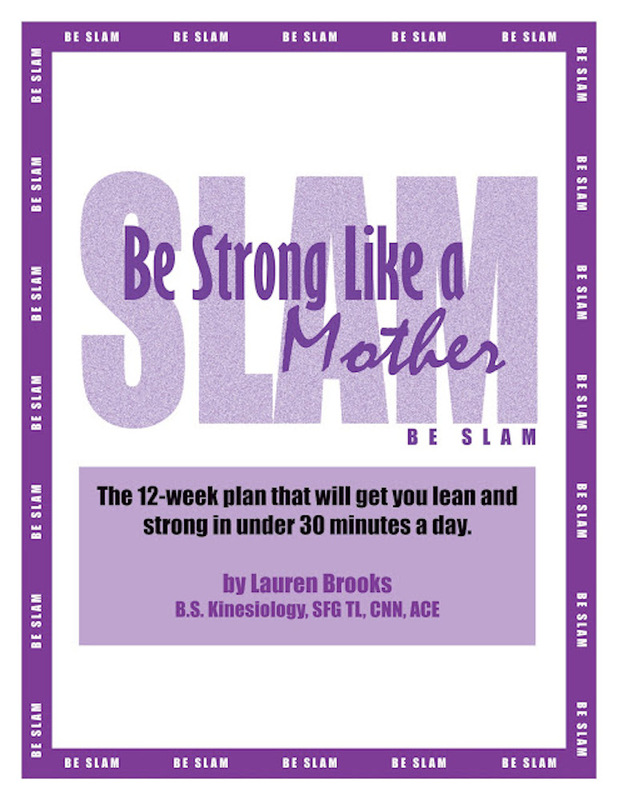 Lauren's secrets to Smart Training, Eating, and Living with real authentic stories of inspiration along the way. The secret is out! You finally get to see my horrible hand writing. Is it an excuse that I'm a lefty and hardly use my hand to write anymore? Probably not! Anyhow, this is a workout that my class and I did yesterday. Directions below. We warmed up with alternating light Turkish Get Up for a total of 3 on each side, with some Down Dog, Up dog, and walk outs. Part B. Perform 5-8 stiff one arm rows. Pelvis is drawn to ribcage, just like the top of the swing. You are SLOWLY descending on the one arm rows keeping your lats engage as long as possible. Single Leg Squats can be done on a bench, using a TRX, or just straight Pistol if you can do 5 on each side that is what is suggested. Only PERFECT reps please! Part C. Just as my beautiful handwriting says. You must use the same bells for all the exercises in the complex, UNLESS you have 8kg's. 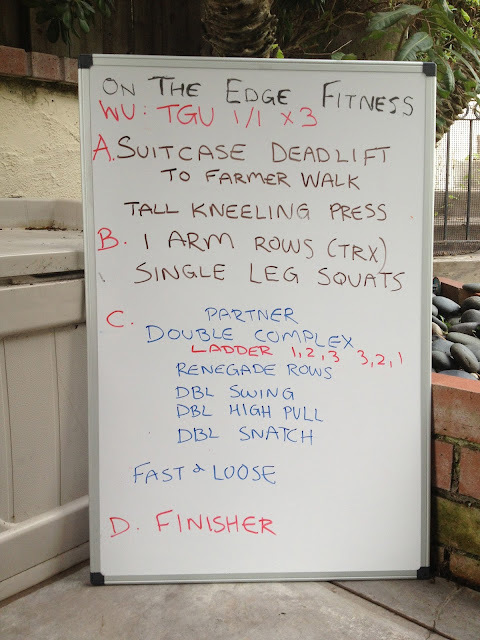 If you do the Renegade Rows you must use at least 12kg's, then you can quickly switch. Follow the rep scheme as you and your partner pace each other. It's only 12 reps all together when you are done with everything. Part D. I took my class through a fun circuit with Ropes, TRX core work, and some other explosive body weight drills TABATA style. It was an advanced group so we definitely did more than I'd recommend the general fitness population to do. Hope you enjoy this as much as we did! Stay tuned for more workouts that I'll be sharing. We have many more as well and will continue to post. 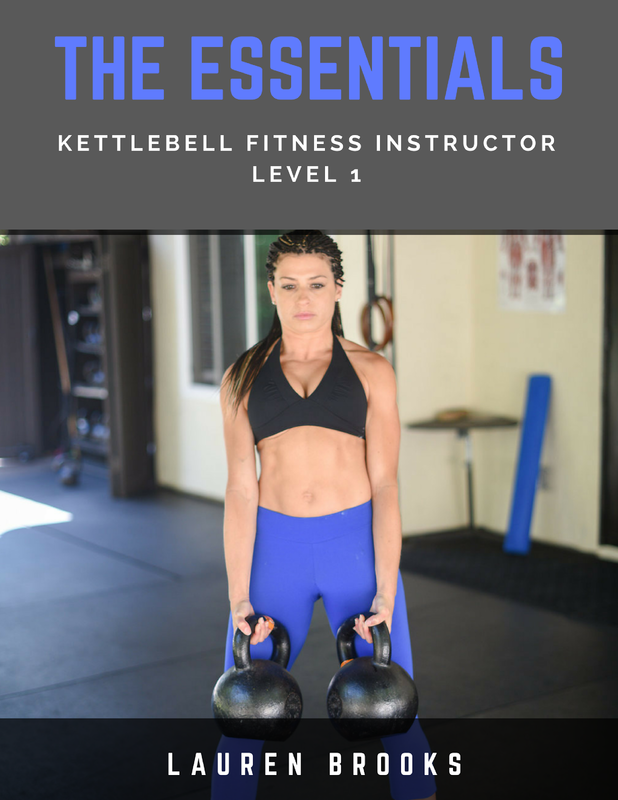 You can view them up on the tab above that says Free Kettlebell Workouts. I'm a fitness, strength, conditioning & nutrition coach that was put here on earth to change peoples lives. I focus on quality of movement, which has helped many people become pain free and strong! 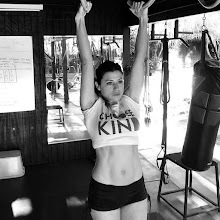 My favorite workout tool of choice is your own body weight and adding a kettlebell. 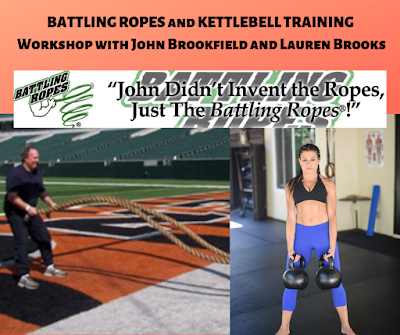 Moreover, any tool that helps with strength and quality of movement is incorporated. Fitness is only part of the puzzle to have the happy and healthy quality of life people strive for. With my educational background & experiences nutrition, lifestyle, exercise and a positive mental attitude are all a focus. 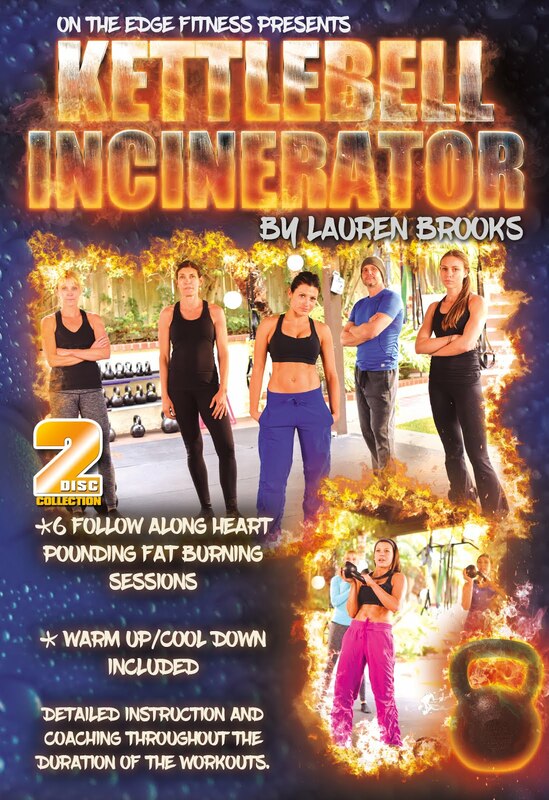 I design online nutrition & exercise programs as well as create fitness DVD's and videos so people can use my style and methods all around the world. 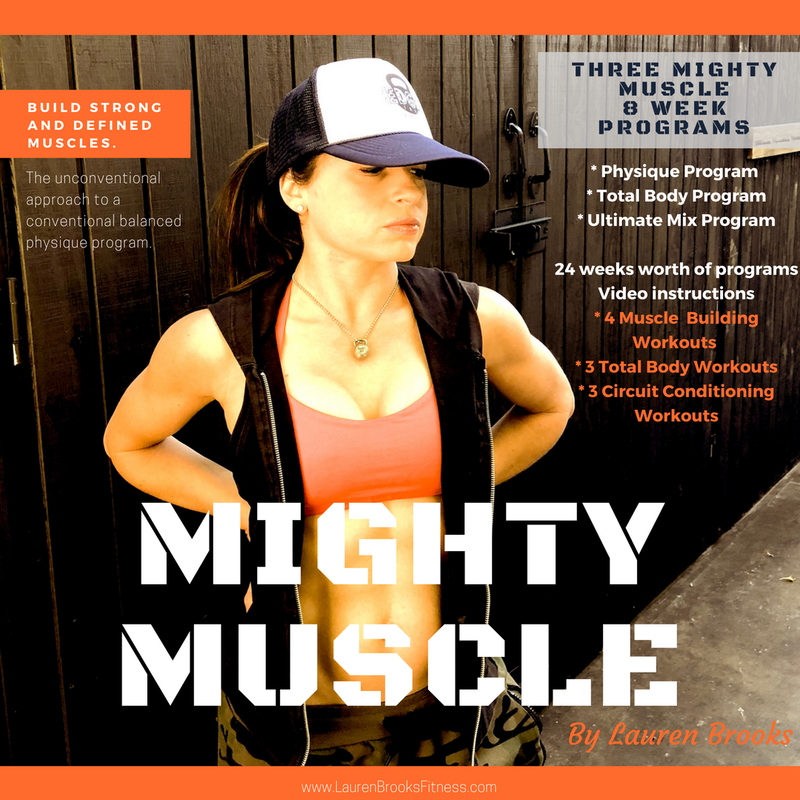 I'm the creator of the "Ultimate Body Sculpt and Conditioning with Kettlebells" series "Baby Bells" DVD, along with The Kettlebell Body, Lightning and Kettlebell Revelation. Being a mother of 4 I know how hard it can be to make health a priority. I truly enjoy helping everyone from all walks of life reach their dream fitness goals to enhance quality of life. It can be done!!! A complex is a series of exercises that are put together without rest. I think they are interesting as well. More people need to learn about them to get the benefits from the exercise. Many of our members have already discovered the benefits of working with a personal trainer. Achieve the raddest and strongest Get Up ever! Designed to create a Rock Solid Body structure that you deserve. 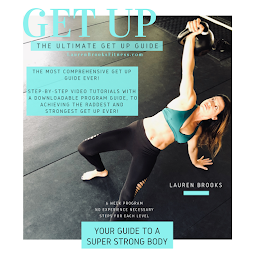 - 4 FOLLOW ALONG WORKOUT VIDEOS - DOWNLOADABLE 6 WEEK PROGRAM + Warm up/Cool Down Video included - PERFECT for BEGINNERS, but STRONG enough for our most ADVANCED students. 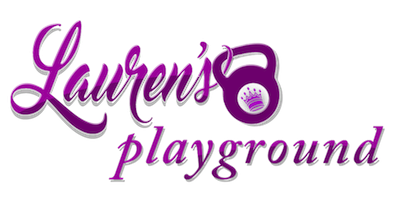 This program is available to all in Lauren's Playground.